My local Asda doesn't do many gourmet choices - and when they do I like to support them. These were bought with only a day or so left on the use by - and they had quite a few left - so I suspect that this was my one shot at trying these. Created by the catchily named (like all small brands should be) Heck it sounds like almost begrudging surprise that anyone is buying them, or that theres a darn tooting western theme that I'm not spotting. That aside, with the self aggrandising product name of "we do damn good sausages" I figured that these pudgy little beasts would be pretty filling and of a high quality. Indeed being gluten free means that it's not just going to be full of cereals and should be pretty meaty. 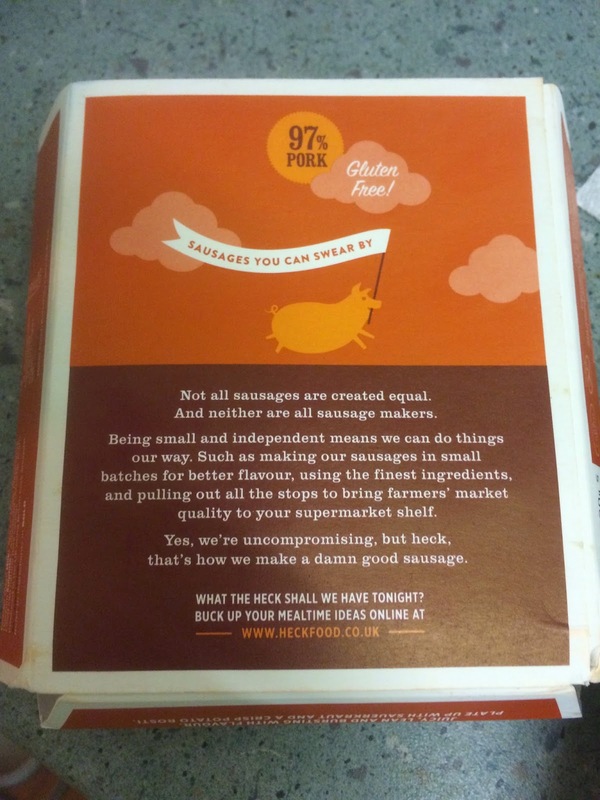 This bit of the box reminded me of Pieminister and all the other Indy food brands - a great victory for clean design on packaging. 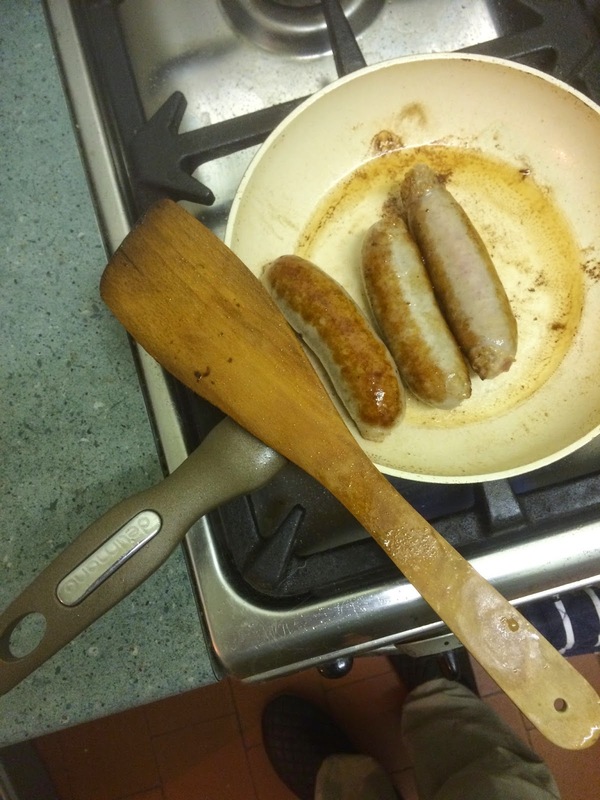 The fat little sausages sizzle sweetly and browned nicely. I used a nice low heat and just left them to get on with it while i did the washing up. 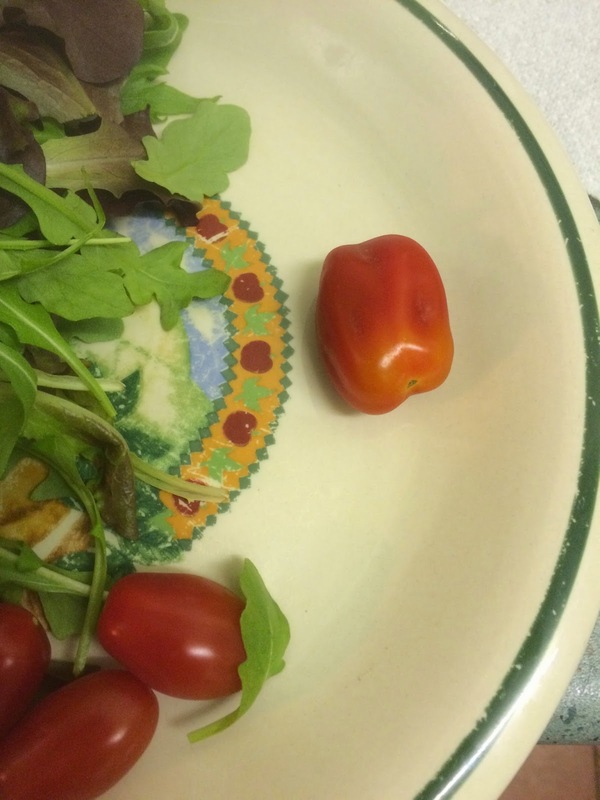 I also discovered a mutant double tomato in my plum tomatoes. Superfoods indeed. 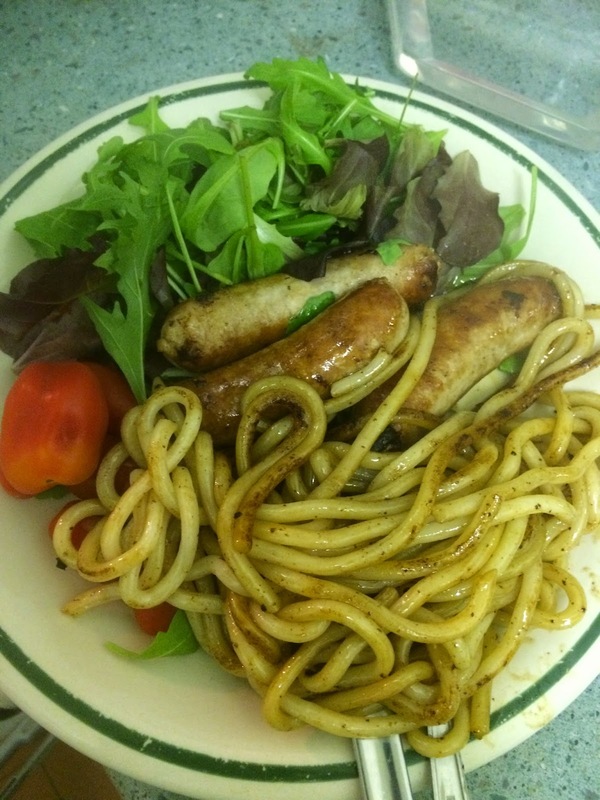 All combined together with some wormy udon noodles it made for a nice balanced meal. 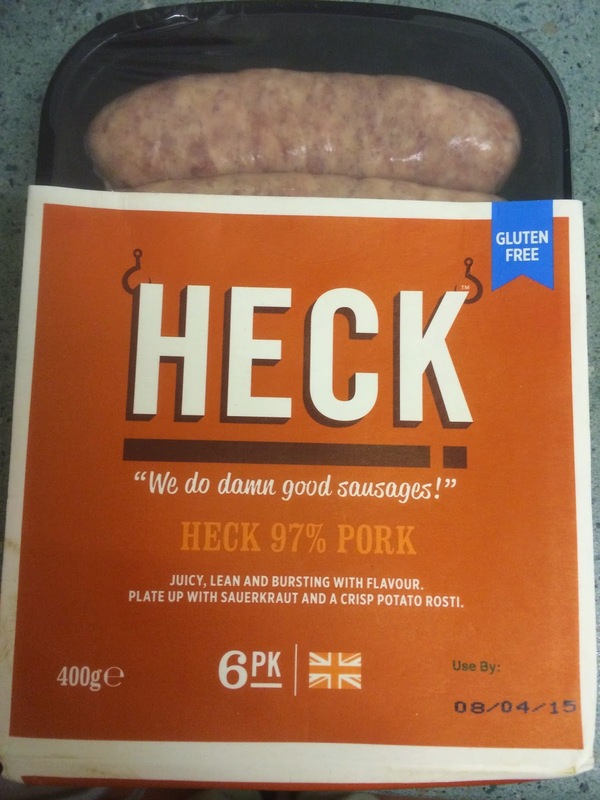 I was pleasantly surprised by the meatiness and flavours, and there wasn't much in the way of herbs and whatnot in there to get in the way of the flavour. I added some relish to the top after I'd taken the pictures and found three sausages to be very filling - I could have probably managed on just two. These are a very good buy and I'll look out for them in future. Heck, I'd certainly try other stuff by the same people too!